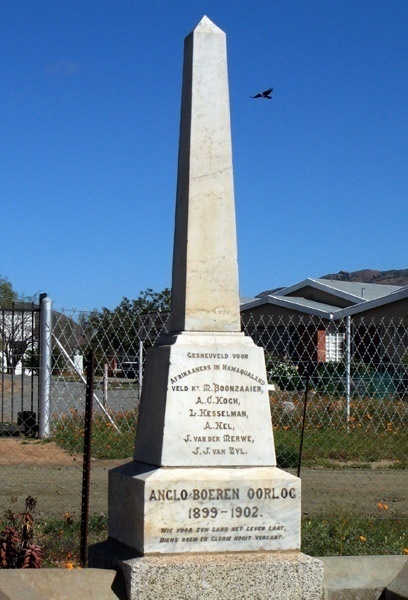 Kamieskroon is a small town more or less in the centre of Namaqualand, about 70 km south of Springbok in the Northern Cape province of South Africa. Kamieskroon is set among the granite rock formations of the Kamiesberg range. Kamies, from the Nama word 'kam', meaning two - referring to the twin peaks of the mountain. The 'kroon', a 330m peak crowned with a huge, cleft rock, near the village. 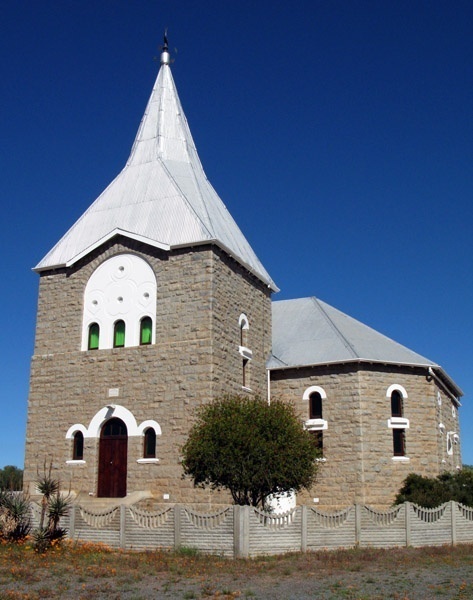 Kamieskroon was founded in 1924, when the Dutch Reformed Church bought the land to relocate from Bowesdorp, 8 km to the north of the current site. It is essentially a town known mainly for its abundance of wild flowers during spring, that services the surrounding farming community. There are a number B&B's that can be visited in the flower season and there are some interesting hiking trails. There is no hospital, doctor or embassy here. There is also no internet café, ATM or banking facilities here. The Randspar store in town, allows customers to withdraw money from their tills, but only if they have money available, so don't rely on that. Note there is no fishing in this area. The nearest place is Hondeklipbay.